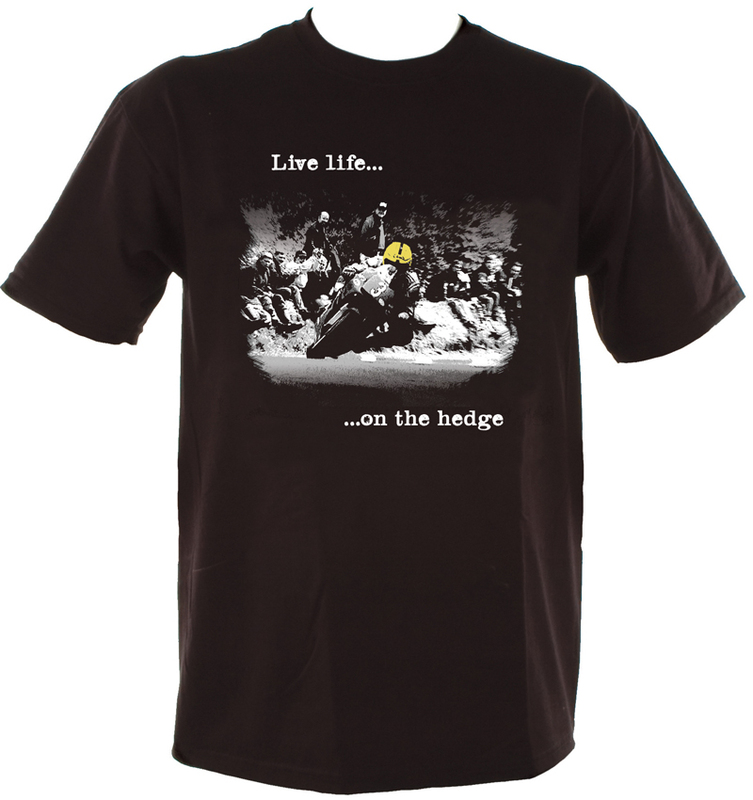 What can we say about this T-shirt other than it totally sums up the ethos of real road racing: Joey, Hedge, Lads. Yer Maun is still very much a presence at the TT but this image captures an era and an ethos that's rapidly fading. The fans sit on the hedge watching in awe as the most successful TT rider of all time hustles the 125cc Honda through in his seemingly effortless way. It is a great reminder of the prowess of Joey that in his final TT appearance, at the age of 47, he recorded his fastest ever lap. 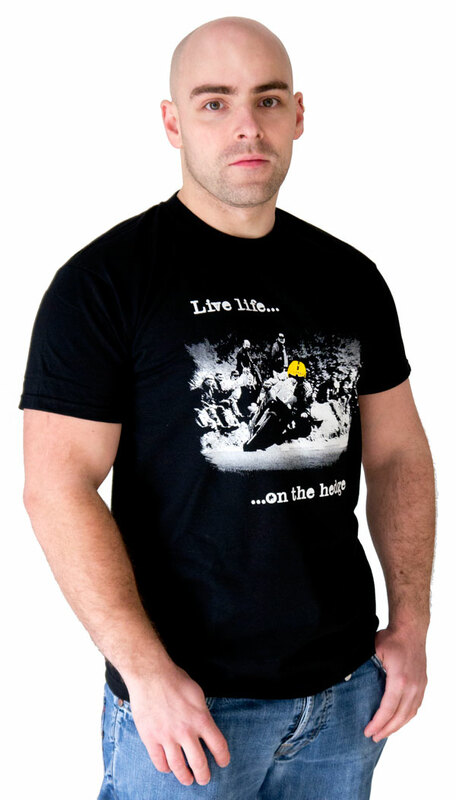 Let the world know that you are part of the real road racing tribe with this iconic new design. Please note: these T-shirts are slim fit so you may need to order a size larger than normal. If in doubt please call our friendly sales team on 01624 640 000 and they'll be happy to help you with your purchase.